Gavin Rossdale has inked a worldwide partnership with BMG for himself and his long-running grunge outfit Bush. As part of the arrangement, BMG has secured the publishing rights to Rossdale's extensive songwriting catalog, plus it includes a new recording deal with the band. The first product of the deal is a just-released remastered edition of the band's latest album, Black and White Rainbows. "I'm very excited to be partnering with BMG, a very powerful label with the passion and capability to bring Bush to a very wide audience," Rossdale said in a statement. Bush's seventh studio album, Black and White Rainbows was released in March via Zuma Rock Records, their third with the label since reforming in 2011. 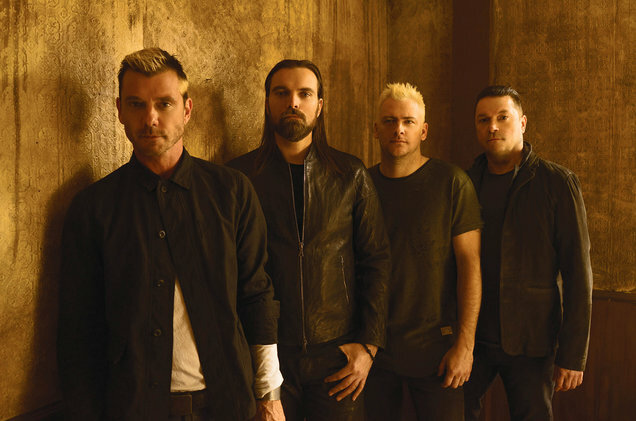 Since emerging in 1992, the London-based quartet has earned 18 consecutive Top 40 singles on the Modern Rock and Mainstream Rock charts, including alternative radio staples "Comedown," "Glycerine" and "Machinehead." Other alt-rock hits over the years include "Everything Zen," "Little Things," "Swallowed," "Greedy Fly," "The Chemical Between Us" and "Letting the Cables Sleep." “Led by Gavin and his extraordinary catalog, Bush remains one of the most successful bands in rock," said Zach Katz, BMG US' president of repertoire and marketing. "We welcome them to BMG and look forward to continue building on their musical legacy."